No one is dumb enough to simply give their money to people; cyber criminals know that. That’s why they’re very tactical and come up with new sophisticated methods to manipulate people into giving money. They put a lot of thought into these processes to protect themselves, in case the police are able to track them and arrest them for committing fraud (along with any other Internet-related crimes). 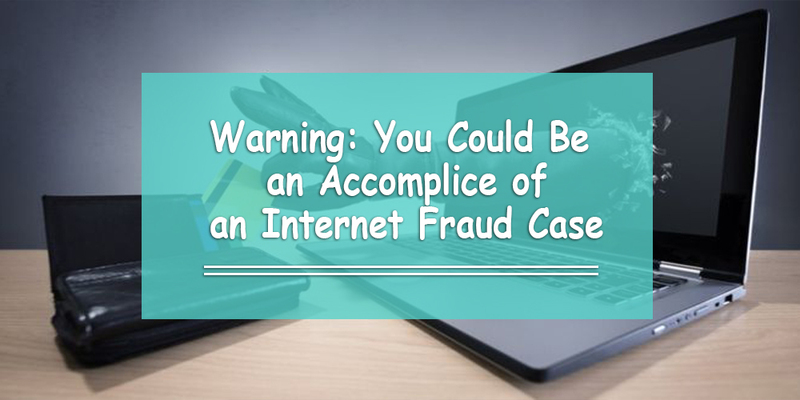 In some cases, Internet thieves’ tactics can actually put the victim in jail for the rest of their life if they don’t have the money to pay back. Read on to learn about how a 60-year-old woman in the UAE got caught up in a cyber fraud case. It was a regular day for Brigitte Scholz. She had been living in the UAE for close to two years. She set up a small trading company. Life was good, until she was introduced to a Nigerian who claimed to be an international businessman. Sources claim they became close friends. The ‘businessman’ eventually asked her if he could use her bank account to deposit a large money transfer ($180,000 to be exact). He told her he didn’t have the time to open a UAE bank account and it would be easier if he collected the money from her directly. Being naïve, Brigitte Scholz agreed. She gave him her account number, withdrew the money, and gave it to him. She never saw him again. Little did Scholz know that computer hackers in Nigeria stole the $180,000 from Syrian businessman Zakwan El Hakawati. They accessed his email after finding out he and his brother were negotiating with a company in South Korea over an order worth… $180,000. Posing as the Korean company, the Nigerian hacker told the Syrian businessman to transfer the money to Scholz’s UAE bank account. • The Korean company never got paid. • The Korean company told Mr. El Hakawati they never received the money. • After finding out he was a victim of a cybercrime, El Hakawati reported it to the police. • The UAE police traced the money to Ms. Scholz’s account and arrested her. • Al Ain’s Criminal Court sentenced her to three months in prison in February 2014 for stealing about AED661,000 ($180,000). • Brigitte Scholz remains in an Al Ain prison to this day. Unfortunately, she will remain in prison until she repays the money. Before 2008, cyber criminals spent no more than three years in prison had they committed Internet fraud. According to a legal consultant, they used to come out of prison as millionaires. They would steal millions of dirhams, finish their jail sentence, and walk out with large amounts of money in their bank accounts. Bringing this back to Brigitte Scholz’s case, the only way she can get out of prison now is if she pays the AED661,000 that the cyber criminals put in her bank account. She doesn’t have the financial means or family to help her in this situation, but the head of Help for Germans in Foreign Lands is requesting a pardon to release her from jail. This way, she can at least file a case against the Nigerian to get the money back. 1. Even innocent people can get in trouble with the law. 2. We need to be careful of who we talk to online. 3. Don’t give out your personal information to anybody you haven’t met in person, even if it sounds like they are going through tough times. Ich bin das Opfer dieser kriminellen. Ich bin Brigitte Scholz, 4 Jahre 6 Monate im Gefängnis. Bedauerlicherweise ist es den Behörden nicht gelungen, den wahren Täter dingfest zumachen, obwohl auch gegen Ihn ein rechtskräftiges Urteil vorliegt. Mein Gegner war fokussiert auf mich, alle Gespräche Mi Ihm, eine Einigung herbeizuführen sinnlos. Ich wusste wo ich und wie ich den wahren Täter finde. Es war ein Mann aus unserem Freundeskreis. Ich persönlich bin und war immer bereit dazu beizutragen, dass der Mann sein Geld zurück bekommt. Es war zwecklos, resultatslos wohin ich mich mit meinen geringen Möglichkeiten wandte und um Hilfe bittend anfragte. Ich habe das gesamte Geld meinem nigerianischen Bekannten ausbezahlt, nachdem dieser mich mit einem abgelaufenem Pass davon überzeugte derzeit kein Bankkonto zur Verfügung zu haben. Ebenfalls händigte er mir den von Herrn Hakawati unterzeichneten überweisungsträger aus. Niemals habe ich daran gedacht, dass es sich hier um gestohlenes Geld handelt. Ich würde in die Verantwortung genommen dieses Geld zu bezahlen. Ich habe nicht das Geld uns somit bin ich gefangen. Ich habe nicht nur mein Hab und Gut verloren. Ich habe mein Leben verloren. Ich weiss, die Herrschaften haben auf dem irdischen Gericht gewonnen, beim letztem Gericht werden Sie zur Verantwortung gezogen. Es wäre so einfach gewesen das gestohlene Geld zurück zu bekommen, wären die betreffenden Leute bereit gewesen, ein Zusammentreffen zu arrangieren. Ich hatte die Bereitschaft, alleine auf weiter Flur und mit jedem Tag der verloren war, schwand die Chance auf Rückzahlung. Heute bin ich frei, mein Leben jedoch…..vorbei…..